Fresh off the success of his Edgar® Award-winning, New York Times bestseller Down River, John Hart returns with his most powerful and intricately-plotted novel yet. Thirteen year-old Johnny Merrimon had the perfect life: happy parents and a twin sister that meant the world to him. But Alyssa went missing a year ago, stolen off the side of a lonely street with only one witness to the crime. His family shattered, his sister presumed dead, Johnny risks everything to explore the dark side of his hometown in a last, desperate search. What he finds is a city with an underbelly far blacker than anyone could've imagined- and somewhere in the depths of it all, with the help of his only friend and a giant of a man with his own strange past, Johnny, at last, finds the terrible truth. The Last Child is a tale of boundaries: county borders and circles on a map, the hard edge between good and evil, life and death, hopelessness and faith. 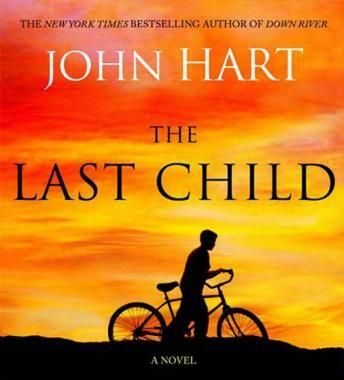 Perfectly blending character and plot, emotion and action, John Hart again transcends the barrier between thrillers and literature to craft a story as heartrending as it is redemptive.